Samsung has launched three new lines of external hard drives with USB 3.0 connectivity at CES this week, including two portable models and a desktop drive. 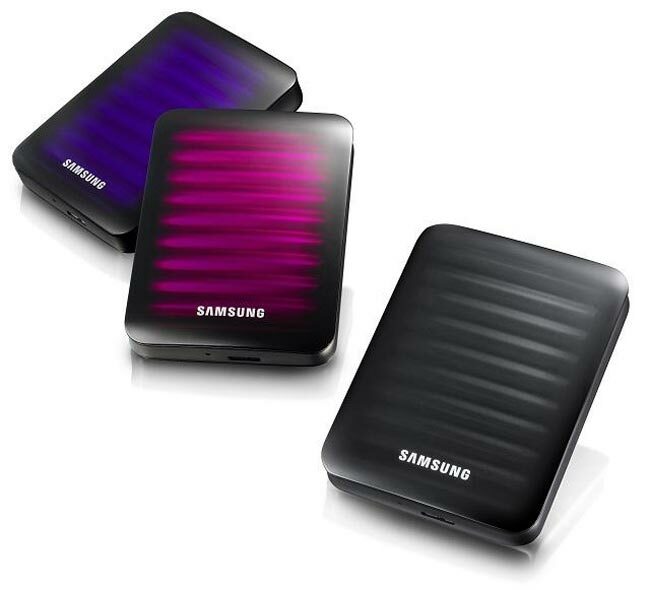 Samsung’s premium portable line of hard drives pictured below are similar to Samsung’s standard portable drives but have added backup and security software and can be encrypted and password-secured. They will be available in Onyx black, Sapphire blue, and Coral pink. The new portable drives pictured below will be available in storage sizes up to 1TB and have a colourful wave-like matte finish and will be available in four colors: Brown black, Noble beige, Clay orange, and Mist gray. The new Samsung USB 3.0 drives have data transfer rates of up to 5 gigabits per second, allowing you to transfer a 25GB HD movie in just 4 minutes, compared with 13 minutes with USB 2.0 devices. The desktop drives pictured above are larger in size as they use 3.5″ desktop drives rather than 2.5″ notebook drives. 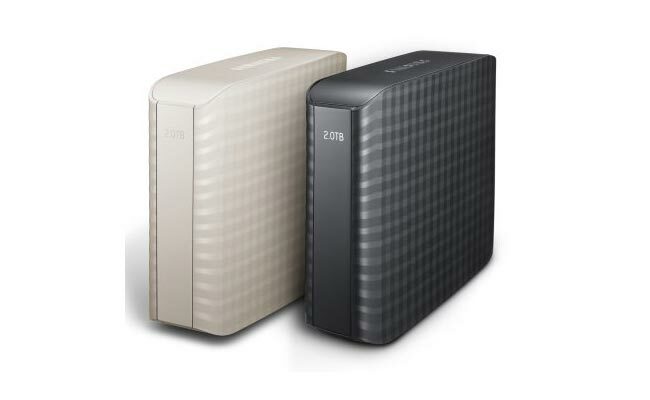 These will be offered in 1TB, 1.5TB, and 2TB storage sizes and available in Brown black and Noble beige. 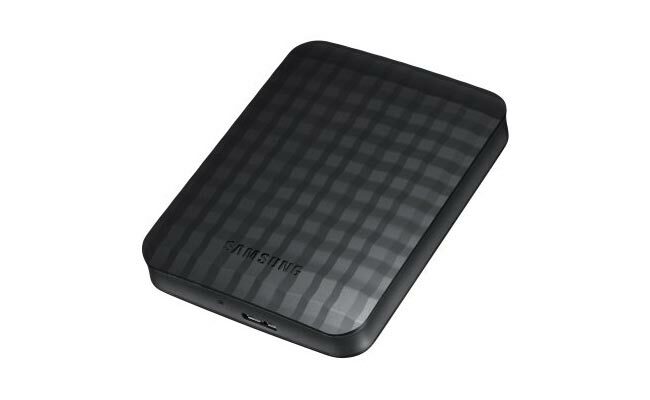 All the new drives are expected to arrive in the US during April when prices will be made available.